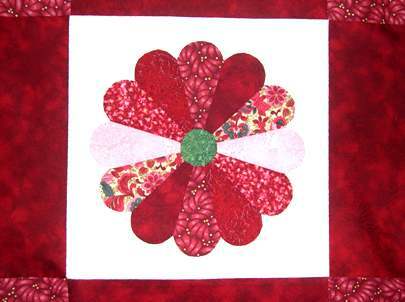 Quilting Retreat Mar12009 on the Canadian Sunshine Coast - AWESOME!! 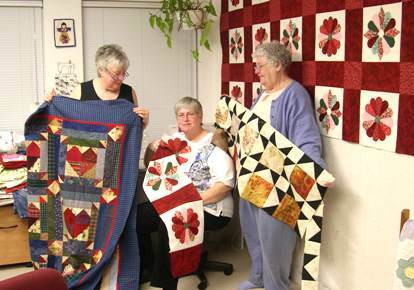 Sharon and Phyllis arrived at noon on the 23rd, raring to get their projects completed. Sharon had hand sewed her Dresden Plate and was eager to get it all put together. 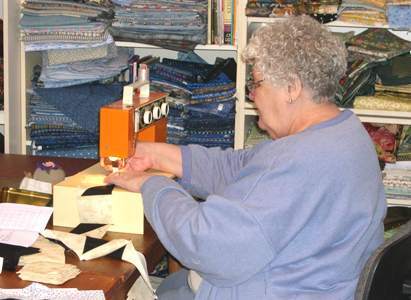 Phyllis was working on her "Stars Over the Orient Quilt" project. 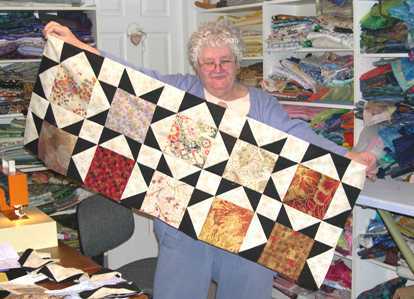 Sharon made 30 of these beautiful Dresden Plates by hand, and now she wants to sew the blocks together with sashing to make a queen size quilt. ... and its going to be gorgeous! Jackee, Sharon & Phyllis with works in progress! Good job!! Notice Sharon's almost finished top on the design wall?